Statistics show that as many as one out of every four adults experienced childhood abuse. Therapists agree that a key element in recovery from abuse is to experience a "re-parenting process" - something that is hard to do for ourselves. Adding the element of spirituality to any recovery program enables abuse survivors to discover that needed source of power outside of themselves. Adults who were sexually, emotionally, or physically abused as children can find healing and wholeness as they learn about the nurturing side of God's character. 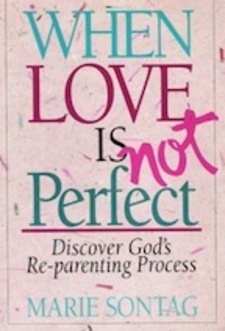 When Love Is Not Perfect provides a biblical framework to help survivors experience God's re-parenting process. We will send When Love Is Not Perfect to your Kindle at . When Love Is Not Perfect has been sent successfully to your Kindle!